I do so love the fog. It's always a reason to get out with my camera. I love fog too!! Where was this? I love the fog, too. This is beautiful. Fav! droool..... this is gorgeous! nice to see you pop in! @basqgirl Hi Amy, I took it from the Friendship Bridge by BSU. @northy @mittens Thank you both! 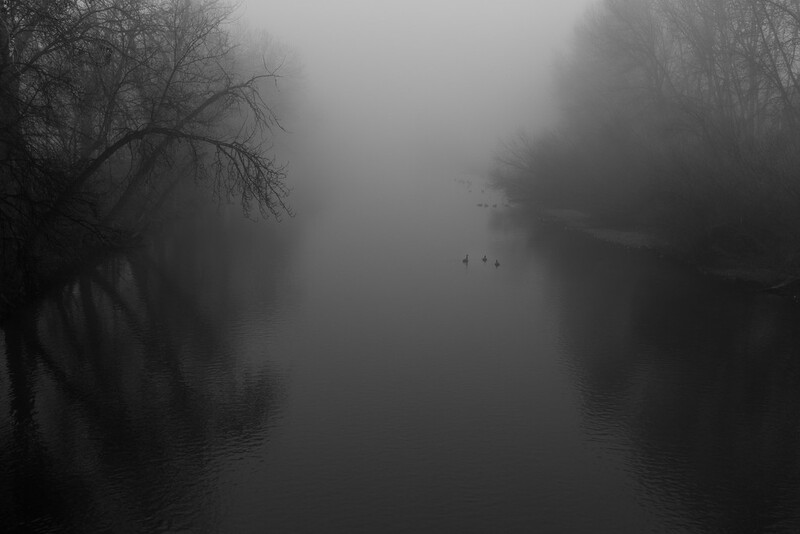 The fog is fantastic...and those little ducks give the scene great scale. And those trees -- they just creep out from the mist! Fabulous shot Lisa, even better on black which brings out the subtle detail in the water. I can feel the fog through this image. Stunning. Wonderful atmosphere. I just love those ducks. Wow! Love this and so nice to see you back!